The boss of the Skills Funding Agency (SFA) and the Education Funding Agency has been handed the enviable task of representing the UK at WorldSkills in Brazil this summer. 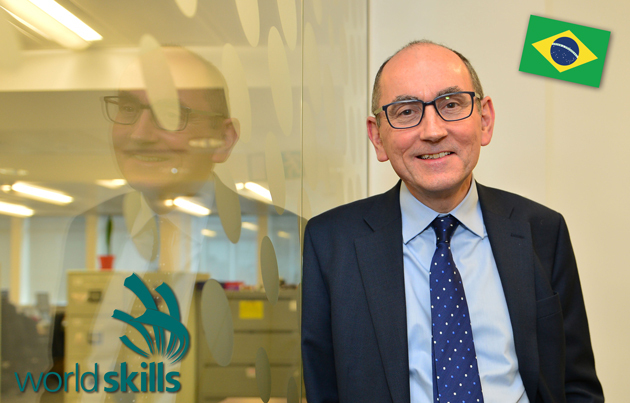 Peter Lauener, chief executive of both funding agencies, will be taking over the role of official UK delegate to the WorldSkills 2015 competition in Brazil. He replaces former SFA interim chief executive Keith Smith, who returned full-time to his director’s role over funding and programmes. Mr Lauener said he was “pleased” to be attending the event, where young people from around the world will compete for gold, silver and bronze in a huge range of vocational skills. “I will be personally championing the need for and value of skills training,” he told FE Week.